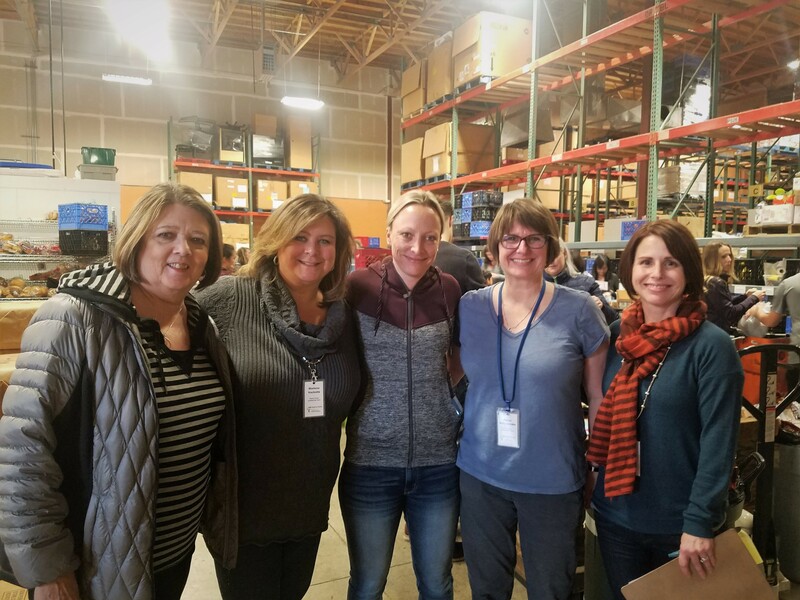 Windermere Redmond brokers Tricia Ebert & Lara Brown had the pleasure of volunteering their time last week with Pantry Packs, a community driven program that provides healthy food for hungry kids to take home over the weekend and school breaks. 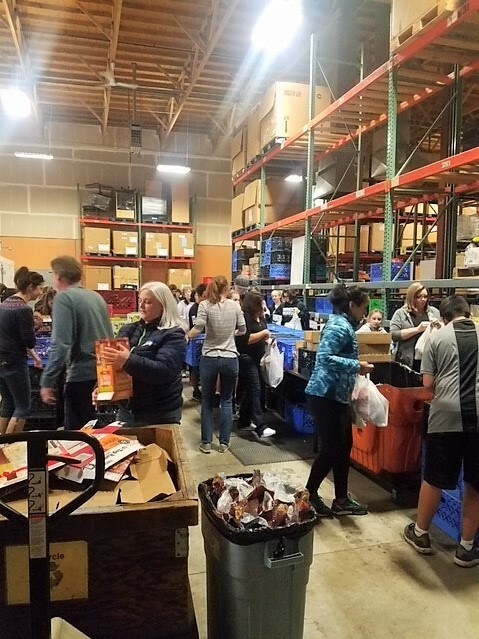 Through charitable donations and volunteer support, Pantry Packs is able to feed more than 800 Lake Washington School District children who are identified by counselors as being “food insecure” and often come to school hungry on Mondays. Each month 40-50 volunteers come together to “pack the packs” then volunteer drivers deliver the packs to more than 40 participating schools. Each week school coordinators are able then to distribute the packs to hungry children in grades preschool all the way through high school. In addition to packing the packs, Tricia and Lara were honored to grant an additional $3,700 to the Pantry Packs cause on behalf of the Windermere Foundation. Our Redmond brokers would like to thank their clients for enabling the Foundation to grant funds to local non-profits throughout the Eastside and beyond. For the past 28 years, the Windermere Foundation has donated a portion of the proceeds from every home purchased or sold towards supporting low-income and homeless families in our communities. Together, we can create opportunities for a brighter future for low-income children and families in our neighborhoods. Your support really does make a difference! We sincerely appreciate your business and are grateful to be a part of the Redmond community. From October 16 through November 10, you can drop off donations at the Windermere Redmond office at Redmond Town Center or one of the other participating Windermere offices listed below. Our friends at Gentle Giant Moving Company are generously donating their time and trucks to pick up all of the donations from our offices. Donations can also be dropped off directly to YouthCare, Monday through Friday from 9am-5pm, at 2500 NE 54th St, Seattle, WA 98105. Schedule Your Early Donation to GiveBIG to the Windermere Foundation! On Wednesday, May 10, from midnight to midnight Pacific Time, the Windermere Foundation is participating in Seattle Foundation’s GiveBIG, a one-day online giving event to raise funds for nonprofit organizations serving the greater Seattle area. Advanced giving has already begun. You can schedule your donation at any point between now and before midnight on May 10. (Your donation won’t be processed until May 10.) For early giving only, donors will need to create a simple profile that includes their name, email and a password. Click here to GiveBIG for the Windermere Foundation! All the money raised through the GiveBIG program will benefit nonprofits in the King County region, specifically providing emergency services for low-income and homeless families through our grant program and some of our nonprofit partners. No matter what you give, it will make a BIG difference in the lives of low-income and homeless families in your communities! We hope you will support us on May 10. Thank you for your generosity and support! This post originally appeared on Windermere Weekly.